For unaccompanied homeless college students. What is a Single Point of Contact (SPOC) for college students? SPOCs are safe and supportive college administrators committed to helping unaccompanied homeless youth (UHY) navigate the college process. They connect students with campus departments, services, and provide ongoing support. SPOC networks are located throughout the country. In December of 2017, Connecticut took the first steps in establishing this network in our state. 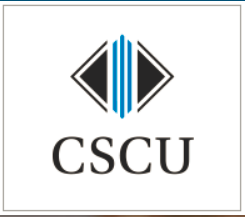 A partnership began with Connecticut State Colleges and Universities (CSCU) and Connecticut Coalition to End Homelessness (CCEH) to address the significant barrier housing insecurity presents to student success. Several institutions have joined our work in exploring how to get more accurate data concerning homelessness and housing insecurity and how to implement a Single Point of Contact (SPOC) system to provide a more comprehensive, consistent and trackable response to homeless students. If you are a student experiencing severe housing instability or homelessness, please contact the SPOC at your college or university for support. Report prepared by the Connecticut Coalition to End Homelessness for the Connecticut State Colleges and Universities (CSCU) in conjunction with the 2018 CT Youth Count. This course prepares those who work with youth in K-12 systems to assist them to successfully transition into college. Created by John Burton Advocates for Youth. The Wisconsin HOPE Lab along with the Association of Community College Trustees results from a national study of basic needs insecurity in higher education. The December 4, 2018 presentation at Manchester Community College. A robust toolkit created by the National Center for Homeless Education. The National Center for Homeless Education highlight’s KSU’s support systems in place for students experiencing homelessness, including SPOC.